A fun, classic country playing bunch of guys out of Scottsbluff, County Road 20 is a hoot to watch and listen to. 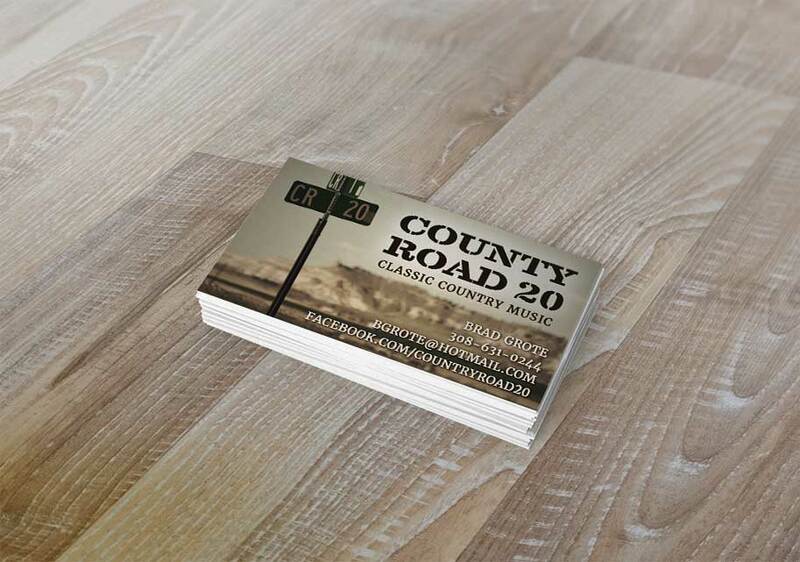 County Road 20 was in need of a business card design, in a hurry. With a gig coming up soon, and print turnaround time to contend with, we got on the horse a quick as possible to make it happen. Because the group is comprised of good ol’ country boys, we used a picture of the County Road 20 sign and bluffs outside of town as the background. Giving the image a hint of “vintage” gave it even a little more country feel. The group didn’t have a logo, so we created a simple text logo and tagline. A fun project, for a fun bunch of folks!